Starting June 15, Disney California Adventure park guests will have the chance to light up the night when Glow with the Show Ears become available for purchase at select locations throughout the park. For more than 55 years, the classic, black Mickey Mouse ear hat has been a Disney Parks guest favorite. In 2005, those ears got a golden touch to celebrate the 50th anniversary of Disneyland park, and there have been more than 200 different ear hats including limited-edition and novelty ear hats. Now, using the latest interactive technology, our newest ear hats will quite literally let you “Glow with the Show.” Watch as the iridescent ears change to complement and harmonize with what’s happening around you, allowing you to become a part of the magic of our nighttime spectaculars, such as “World of Color” and Mad T Party. But that’s not all – there are lots of surprises in store when you visit Disney California Adventure park with Glow with the Show Ears, so I’ll let you discover them for yourself! Are you planning to “Glow with the Show” on your next visit to Disney California Adventure park? They could take this farther…they could automatically turn say blue when in Tomorrowland or green in Adventureland…on National days (4th of July, Veteran’s Day, Memorial Day, etc) change red, white & blue! I am really disappointed the premium shows are all full…I was really looking forward to go…are they going to open up anymore shows to pass holders?? Can we order the ears online? Or are the only available at the park? They are so cool! We tried registering for the annual passholder glow with the show yesterday only to find out that the show had filled up to capacity one hour prior to us arriving at the ticket Booth….my question is will the annual passholder discount apply for the hats? I’m going to the Annual Passholder Glow with the Show screening at the end of the month. I thought we were invited to test the technology. Guess it’s just a private screening given that these hats will be available June 15th? Actually Jon from TX, these were designed by the park’s Technical Services Department not the Imagineers. Im sure WDI had input, but the product was designed by Technical Services. I HAVE to have these!! I’ll definitely be picking several up when I come to Disneyland in September. Thanks for the head-up! What locations will sell the hats? Will they be available all day or only at night? There is some confusion as to when these are available. The blog states the 15th, the picture states the 18th and another blog states the 28th. Can you clarify when please? I’m sorry for the confusion, Marvin. 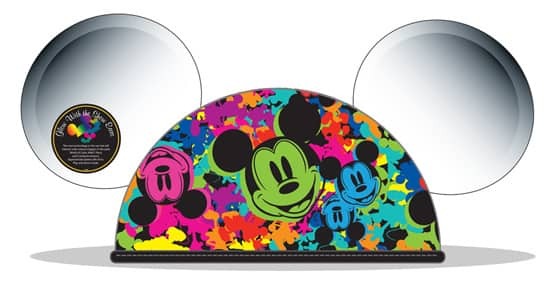 The Glow with the Show Ears will be available on June 15. I’ve corrected the error in the caption – thanks for catching that. so exicted….I must have a pair! There were some great (plastic) pins for WALT DISNEY WORLD’S 100 YEARS OF MAGIC CELEBRATION that used this technology, , and I highly recommend buying a set of these “ears”! The pins reacted to the FANTASMIC performance and at one point, guests were actually turning around in their seats to watch our pins instead of watching the show. They were so amazing and even did different things on certain attractions. We were constantly amazed and delighted that we bought them. We still tell people about our “smart” pins and how they brought even more MAGIC to our vacation. What WILL the imagineers think of next? How much are the ear hats going to be, though? Wow..I wish Walt Disney World Had these..
LOVE THESE (and please, somebody program my wardrobe to be able to pick the right colors for whatever current situation I’m in!) but I’d like to (h)ear more about the manual controls. So far, buying/wearing my own means I won’t be able to see any of the changes myself! 😀 It’d be nice if they’d glow outside of Disney too! Kelly, I wondered the same thing! This sounds incredible — and I love that it’s going to be a totally unique experience from anything else in the park. How will it tie into Mad T Party, as the first part of this post states? Also, any word on the cost of these little beauties? Makenzie – “These little beauties” (love that line) will be available for $25, which includes tax. 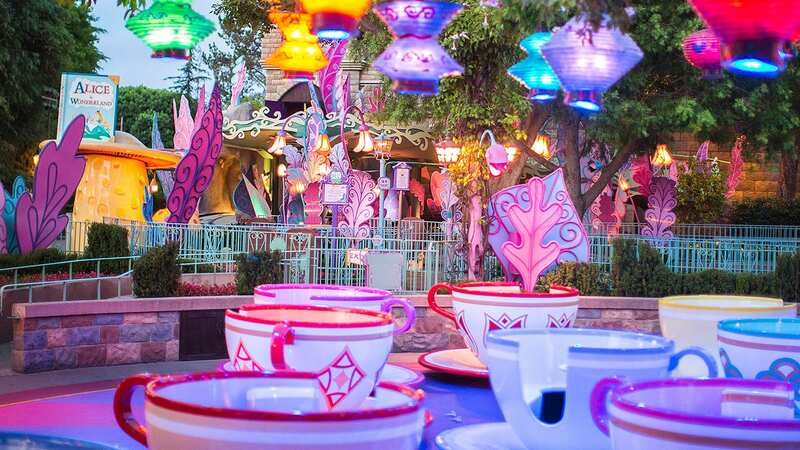 As for how they will work with Mad T Party, you’ll have to see it for yourself – but I will can tell you that they will react in sync with the music and lighting effects. Oh My! I cannot wait to try these out in November. I am not even going to tell my kids what to expect… just buy them the ears and have them wearing them at the show. Can’t wait! Is this the same technology that Coldplay is currently using for their concerts? They hand out glowing bracelets to the concert goers that light up in time with certain songs.